This lecture argues that mental health is a major factor of production. It is the biggest single influence on life satisfaction, with mental health eight years earlier a more powerful explanatory factor than current income. Mental health also affects earnings and educational success. But, most strikingly, it affects employment and physical health. In advanced countries mental health problems are the main illness of working age – amounting to 40% of all illness under 65. They account for over one third of disability and absenteeism in advanced countries. They can also cause or exacerbate physical illness. It is estimated that in the absence of mental illness, the costs of physical healthcare for chronic diseases would be one third lower. The good news is that cost-effective treatments for the most common mental illnesses now exist (both drugs and psychological therapy). But only a quarter of those who suffer are in treatment. Yet psychological therapy, such as cognitive behavioural therapy, if more widely available would pay for itself in savings on benefits and lost taxes. The lecture ends by illustrating how rational policy can be made using life-course models of wellbeing. Such policies should include a much greater role for the treatment and prevention of mental illness. Mental health is a key dimension of all our lives. Yet when the present welfare state was being designed, this was far from people’s minds. In his famous report on welfare reform in Britain, William Beveridge identified as the main problems of society five great giants which needed to be slain: they were poverty, unemployment, poor education, bad housing and disease (by which he meant of course physical disease)1. Over the 70 years since his report most advanced countries have made huge strides on all of these fronts, except at times unemployment. But there is still widespread misery – and what surveys we have of happiness and misery suggest things have changed little since Beveridge wrote. So what did he and his fellow reformers miss? They overlooked the human factor – the problems that come from inside ourselves (and not mainly from externals). It is because of the human factor that, despite unparalleled prosperity and mostly high employment, we now observe more family conflict, less trust and more crime, than when Beveridge wrote. And this in turn helps to explain the need which so many people feel for a new metric to measure the progress of society. We have never of course had a single metric before – nobody really believed that GDP was an adequate measure of how our society was doing. What is new is that a proper metric is now available – the metric of wellbeing. Questions like “Overall, how satisfied are you with your life nowadays?” have been asked for decades and they have become increasingly validated2. Increasingly, we are able to predict and explain people’s replies to the question. We can also use their replies to predict other things like a person’s life expectancy. And, most important, we have found areas in the brain where the objective electrical activity is well correlated with the subjective self-report3. So we should accept these self-reports as a valid proxy for what we care about. In many countries these measures show no upward trend in wellbeing e.g. in the US and West Germany (see Figures 1 and 2). There are other countries where wellbeing has increased, but it is clear that economic growth has not brought the increase in life satisfaction which many people would have expected from the huge improvement in living standards we have experienced and the huge improvements in education, health and housing since the 1950s. And, incidentally, the main explanation is not inequality since life satisfaction did not rise even when inequality was falling in the 1950s and 1960s. So what is the problem? 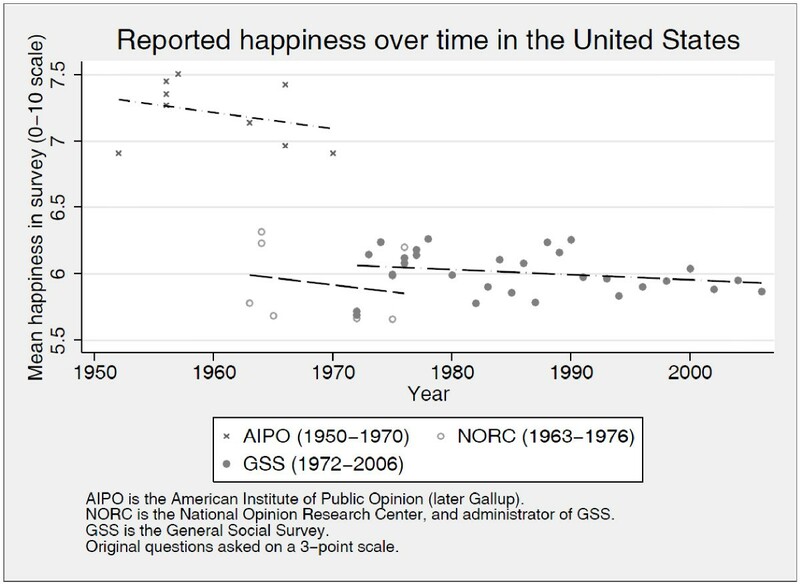 Reported happiness over time in the United States. 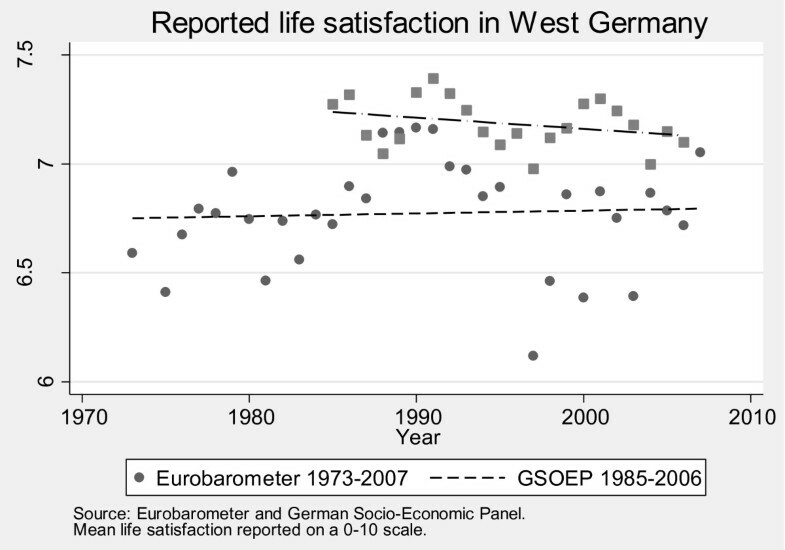 Reported life satisfaction in West Germany. Many factors are involved, social and personal. But this lecture will concentrate on one factor only – our failure to grapple with the problem of mental illness. How do we know this matters? Table 1 shows a simple equation to explain life satisfaction among British men aged 34 in 2004. This equation includes all the most powerful explanatory variables available and shows for each of them their β statistics, that is the partial correlation coefficient for each variable, holding the other variables constant. The most powerful variable is the mental malaise of the individual 8 years earlier4. It is more than twice as powerful as the person’s income at the time when they were 34. Even if we measure mental malaise 18 years earlier, it still has almost as much effect as current income. Table 2 shows two more equations for those who do not like life satisfaction as the dependent variable, but prefer the Beveridge outcomes. The first column shows what determines household income. Mental malaise 8 years earlier is almost as important as educational qualifications. The second column explains self-reported health, and again previous malaise shows up strongly even when we include previous self-reported health. If we focus on earnings as the outcome, a striking Swedish study followed up people who did military service at which time they were measured for cognitive and non-cognitive skills. Twenty years or more later the non-cognitive skills explained as much of the variance of earnings as was explained by cognitive skills5. Source: British Cohort Study. (β-statistics). Notes: Regressions by James Vernoit. *Significant at 95% level. In this context non-cognitive skills focuses on behaviour and resilience in the face of adversity – traits which James Heckman has also focused our attention on6. But there is another, more inward, dimension of mental health which also turns out to be extremely important. This is emotional wellbeing. In a recent analysis using the British Cohort Study, our team at LSE has measured children’s conduct at 5, 10 and 16 and their emotional health at the same ages. Holding constant cognitive skills and family background, emotional health predicts as much of earnings as child conduct predicts7. Finally there is a famous study of educational performance. A group of US eighth-graders were tested at the beginning of the school year for IQ and for self-discipline. At the end of the year they got their final grades and what explained those grades? Self-discipline explained twice as much as IQ did8. The scale of mental illness. The costs to the economy and the taxpayer. The cost-effective treatments that exist. The fact they are rarely available, but could be. The implications for social science. Before beginning we need a definition of mental illness. People are mentally ill when they experience serious and persistent distress or impairment due to abnormal feelings or behaviour which are psychological or neurobiological in origin. So how prevalent is mental illness? We can start with adults, using the UK Psychiatric Morbidity Survey, which is a household survey (Table 3). Source: ONS: Psychiatric Morbidity Survey, 2007: (McManus et al. 2009). The survey has been repeated 3 times in 1993, 2000 and 2007. There has been a slight steady increase over the period. This finding is similar to that in some other countries where there have been repeated surveys. When implausible retrospective questionnaires have been used, these usually imply that there has been a substantial increase – what some people call an epidemic of depression. But most psychiatrists do not believe it. Mental health problems have been here since the Stone Age. What is new is that now, for the first time, we have things we can do about them. To set the scale of mental illness in perspective, we can compare it with the scale of physical ill-health. Here the World Health Organisation employ a panel of doctors to gauge the severity of each condition, physical and mental9. The upshot is remarkable (Figure 3). Mental illness is not only the largest single illness among people of working age. It actually accounts for half of all disability among people of working age – as much as the combined effects of back pain, heart pain, pulmonary problems, diabetes, cancer and all the rest. And this is based on household surveys, not on people claiming benefits. Degree of disability in each age group (Numbers per 100). Source: WHO (2002). Western Europe. Clearly a disease of this magnitude imposes heavy economic costs both on the public finances and on the economy. Table 4 shows the rates of people on disability benefit in different countries. In every country these are underestimates. For there is another remarkable fact: of all the people referred to first appointments with a hospital consultant in Britain only a half have a medically explicable condition10. Some of the others have genuinely inexplicable conditions, but many have conditions which are best explained as psychological in origin. But numbers on disability benefits only measure a part of the impact of mental illness. First, not all those who can’t work get disability benefits. So Table 5 shows a measure of the overall employment impact. If you look at the most mentally ill (worst 5%), their employment rate is reduced by a third, and for the next 15% their employment rate is reduced by one fifth. If these people had the same employment rates as everybody else, employment would be 4.4% higher – which is a rough measure of the impact of mental health on GDP via non-employment (given that the relation between mental health and IQ is small)11. Source: OECD (2011) p41 (16-64). But there is also another cost – mentally ill people who are in work take much more time off sick. In fact a half of all days off sick are due to mental illness. This is really expensive for employers. But at the World Economic Forum at Davos in January 2012 there was a meeting of sixty of the world’s most enlightened large companies who belong to the Workplace Wellness Alliance. The meeting went on for ninety minutes, and there were presentations about cardio-vascular problems, cancer, diabetes, lung problems, and so on, but no mention of mental illness. People just do not want to discuss it. In fact, as Table 6 shows, another 1% of work-hours are lost due to absenteeism and on top of that we have the cost of presenteeism – people whose mind is elsewhere and who underperform even when they are at work. Based on self-reports of underperformance, this may add another 1-2% to the direct output costs of mental illness. All these figures combined suggest an overall output loss close to 7.5% of GDP (Table 7). Sources: UK: Sainsbury Centre for Mental Health (2007); OECD (2011) p64. There is the cost to the healthcare system. Treating mental illness (and providing the related social care) costs roughly 1.5% of GDP in Britain. And on top of this people who have chronic physical conditions roughly 50% more in physical healthcare if they are also mentally ill. That is US evidence and holds constant the severity of the physical condition. So that means in Britain another cost equal to nearly 1% of GDP12. Of all this cost, more than half falls on the taxpayer and the rest on the individuals concerned and on their employers. In total it is no small issue. But these costs say almost nothing about what we should do. That depends on what we can do. When Beveridge wrote and until the 1950s, there was little that could be done about mental illness except tender, loving care. But in the 1950s spectacular discoveries were made in drugs for schizophrenia, for bipolar disorder and for depression - and more recently for ADHD (Attention Deficit Hyperactivity Disorder). Since the 1970s there have also been major discoveries in evidence-based methods of psychological therapy. By far the best researched is cognitive behavioural therapy (or CBT), which helps people to reorder their thoughts and thus to manage their feelings and behaviour. For anxiety disorders, typical recovery rates are over 50% and are at least as good as with medication. Moreover in most anxiety cases recovery secured through CBT is permanent, which is not the case with medication. Similarly with depression, recovery rates after 4 months are similar with CBT and with antidepressants, but relapse is much less likely for patients treated with CBT13. For these reasons the National Institute for Health and Clinical Excellence (NICE) recommend that all patients with these conditions should be offered the choice of medication or CBT or alternatively certain other evidence-based psychological therapies for specific conditions. The recommendations about psychological therapy are extremely important, because many patients are unwilling to take drugs and because the effects of psychological therapy are on average longer lasting. Therapy is also recommended because it costs so little: about £750 in 2006 money for a course of 10 sessions. And against that we must set the savings that result when successfully treated people return to work (or keep the job they otherwise would have lost). This is where the labour economics comes in. Unfortunately only a few proper experimental follow-ups have been done with proper control groups (all in the US). They show that among people treated with CBT some 4% of them work over the subsequent 25 months (who would not otherwise have done so)14. So for every 100 people treated at least 4x25 extra months are worked – which makes an average of 1 month per person treated. And what does an extra month’s work save the British taxpayer? £750 in 2006 money. So, the net cost to the Exchequer is zero. At the same time there are likely to be big savings to the NHS on physical healthcare costs. Mentally-ill people keep on going to the general practice doctor. But CBT reduces that. A US meta-analysis took all 28 studies which had compared healthcare use between people treated with CBT and a randomised control group. In 26 of the 28 studies the reduction in healthcare use over the subsequent 24 months was large enough to cover the costs of the CBT15. These were among the reasons why NICE had no hesitation some 8 years ago in recommending that all patients suffering from anxiety or depression should be offered psychological therapy. But for many years these recommendations were not carried out. The undertreatment of mental illness is a worldwide phenomenon (Table 8). These treatment rates compare with rates of well over 75% for most physical conditions. There are at least 3 reasons. People and their relations are ashamed to admit there is a problem. But this stigma is greatly compounded by causes 2) and 3). People do not realise that mental health problems can be treated – there is a long time lag. The facilities are simply not available. 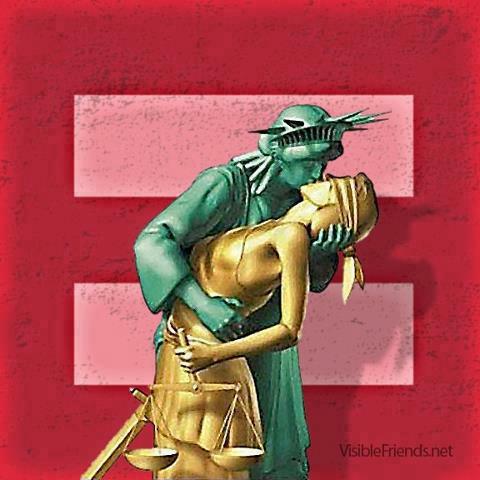 This has certainly been the binding constraint. In 2009 the majority of people treated for depression or anxiety had waited for over six months in England 16 - while for physical conditions the upper limit was 18 weeks. Only 15% of GPs said they could get patients the psychological help they needed17. Sources: UK: ONS Surveys; US: OECD (2011) p87; EUROPE: Lepine et al (1997). This is a case of simple discrimination, and it reflects the long-standing resistance in Western society to taking the inner life seriously, as compared with things we can see and touch. However the worldwide wellbeing movement, which grows daily, is beginning to change this. To end the discrimination in mental health, the LSE’s Centre for Economic Performance founded in 2005 a Mental Health Policy Group to make the case for proper treatment for mentally ill people in England and to show how it could be provided. Much of the case described above was developed by that group18. Fortunately the government listened and in 2008 it launched the Improving Access to Psychological Therapies (IAPT) programme which basically followed the proposals of our group19. This 6-year plan aimed to ensure that by Year 6 the NICE Guidelines were being delivered throughout the country. The method was a new service for which most of the staff would have to receive a year’s training on top of whatever mental health training they already had. The service would need roughly 8,000 therapists, of whom 6,000 would have to be trained. In addition there should be employment support workers (1 for every 8 therapists) to help people stay in work or regain employment if they had lost it20. The programme has gone remarkably well and has been continued by the present government. Recovery rates are now approaching 50 per cent and are improving as more and more of the therapists become experienced and fewer are trainees. In IAPT every patient’s outcome is monitored session-by-session, so that more is known about outcomes than in most other parts of the NHS. We can also see from comparing the Wave 1 services that recovery rates are higher where NICE guidelines are followed and where the staff are more experienced21. So far the objective we have set is quite limited – an ability by 2015 to treat 15% of the diagnosable population each year at an annual cost of around £300 million. As we approach that goal, we become increasingly aware of the challenge coming from co-morbidity with physical illness. To deal with that another 5-year programme will have to be proposed in the next Spending Review that would take coverage up to 25% by 2020. This lecture has focussed mainly on adults, where the labour market evidence is the most clear cut. But of course it would be best if we could prevent most adult mental illness in the first place. This brings us to the question of child mental illness and mental health promotion in schools and elsewhere. A half of all adults with mental illness have shown it by the age of 15. Table 9 shows the prevalence of mental disorders in childhood, again from a government survey of households. Source: ONS Survey of child mental health: Green et al (2005). And Table 10 shows the other problems which mentally ill children have when they are children. Children with mental health problems are at least 5 times more likely than others to bunk off school or to be excluded, as well as being much more likely to smoke and take drugs and, worst of all, to self-harm. Sources: ONS Survey of child mental health: Green et al (2005). * Parent’s report. Table 11 shows how people’s adult lives develop according to the scale of their behavioural difficulties in childhood. The left hand column is essentially those children who have conduct disorder and the right hand column is the best-behaved 50%. There is an extraordinary difference between the two groups in the extent to which they go on to commit violent crime, to become teenage parents, or to live off welfare. Even with controls, these differences remain huge. It is because we have not tackled mental illness that these problems are just as they were in Beveridge’s day – or in some ways worse. Source: Fergusson et al (2005) Table 1. New Zealand. The case for early intervention is based on the extent to which childhood disorder predicts for the individual a life of misery, and for society a load of costs. Table 12 shows the subsequent taxpayer cost of children with conduct disorder, compared with other children22. The issue of course is whether anything can be done and whether it is cost-effective. There has been much less research on the treatment of children than of adults, but, as for adults, there are well-established treatments that are recommended by NICE. Source: Scott et al (2001). London sample. For children with anxiety problems, CBT typically leads to 50% recovery rates, and for children with mild to moderate conduct disorder parent training produces improvement in 2/3 of cases. These are quite cheap treatments. For serious conduct disorder much more intensive work is needed such as multi-systemic therapy costing around £6,000. The shocking thing is that only a quarter of all the million or so of children in England who need treatment are receiving it, and yet child mental health services are now being cut due to cuts in English local authority funding. This is simply inhuman – most physical problems continue to be almost automatically treated, while the human spirit is treated as marginal. So the case for treatment is above all humanitarian. But it is also cost-saving. Unfortunately the cost-saving is more difficult to compute for children than for adults, since many of the costs which are saved come many years later, and very few treatment trials of children follow them up for long enough to record all these savings. This brings up the issue of preventing mental illness in the first place. The first point is that good intentions are not enough – many well-intentioned programmes carried out with the best will in the world have been found to make no difference. One recent example was the British government’s pilots of social and emotional learning in secondary schools23. The evaluators correctly attributed this to insufficient structure and insufficient manualisation. The programmes that produce the best results are those that are highly structured (which is also true of psychological therapy). In the US the CASEL collaboration has done a meta-analysis of 180 programmes typically lasting around 20 hours in half-sized classes. The average short-run effects are to raise those who take the programme by around 10 percentile points on emotional state, behaviour and achievement24. Some programmes have of course much better results than average. In the UK the LSE’s Centre for Economic Performance (CEP) took the lead in organising pilots of the University of Pennsylvania’s Resilience Programme for all the 11 year olds in 22 secondary schools. This is an 18 hour programme which teaches the children to observe and manage their own thoughts and feelings, and to understand and respond to the thoughts and feelings of others. The largest effects (compared with controls) were on the children who started off in the most depressed 40% of the class. For them their degree of depression was reduced by 0.2 standard deviations, but by three years later the effect had gone25. This problem of fading effects arises in many programmes and for most of them we have no idea of their long-term effects because they have simply not been followed up. One encouraging exception is the so-called Good Behaviour Game26 piloted in Baltimore. Each beginning primary school class is divided into 3 teams and each team is scored according to the number of times a member of the team breaks one of the behaviour rules. If there are fewer than 5 infringements all members of the team get a reward. Children in the treatment and control groups were followed up right up to age 19-21 and those in the treatment group had significantly lower use of drugs, alcohol and tobacco and significantly lower frequency of anti-social personality disorder. There is one obvious feature of this programme: the amount of time when the game was played totalled around 200 hours. Aristotle was right – habit is central to the development of character and we shall only produce a more mentally healthy school population if we spend more time on it. First we need a more values-based school ethos, but second we need a sustained evidence-based curriculum for personal, social and health education lasting throughout the school life. The CEP has now devised a balanced mix of evidence-based programmes that would provide 140 hours of the curriculum in secondary schools, and the Centre will be piloting it over a 5 year period27. Another place where mental health could be improved is of course at the workplace. Better mental health is very much in the employers’ interests, given the problems of absence and turnover which I discussed earlier. In 17 out of 19 OECD countries work-related mental problems are up. Surveys of individuals show that the worst time in their day is when they are in the presence of their line manager28. We need better job design and a more pro-active way of handling absence. In many countries managers are not allowed to ring up their sick employees and ask how they are and what the problem is. We have got to become a lot more open about mental health problems, and to get treatment for those who need it. But basic to all this will be a better understanding of the role of mental health in all aspects of our national life. So let me end on this, and the way in which social science can contribute. What we need now is a complete model of the life-course. Emotional wellbeing should be the central variable of interest – the ultimate criterion by which we judge the state of our society. But, to understand how this evolves, we have to know how it affects a person’s conduct, educational performance, physical health and (in adulthood) their employment, earnings and performance as parents. And we also need to know how these other things then affect emotional wellbeing. 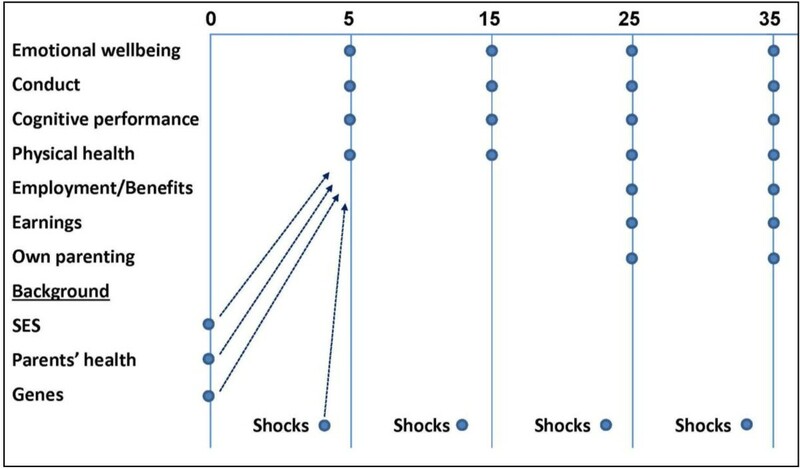 So in Figure 4 each dot is in principle affected by every dot that is prior to it in time, including of course the person’s family background and the shocks and interventions they have experienced. The dotted lines indicate just one equation in the model. Our current understanding of this picture is very patchy. It is a bit like our understanding of macroeconomics in the late 1940s. Bits and pieces were known about the parts of the economy, but to make real progress required an estimated model which showed how much each bit mattered. Scholars in Oxford and Philadelphia led the way in developing one. Similarly today we know lots of bits and pieces about subjective wellbeing but we still lack a model – a quantitative model in which the relative importance of all the factors is properly shown. The CEP is setting about estimating such a model using the mass of cohort data which now exists in Britain and abroad. 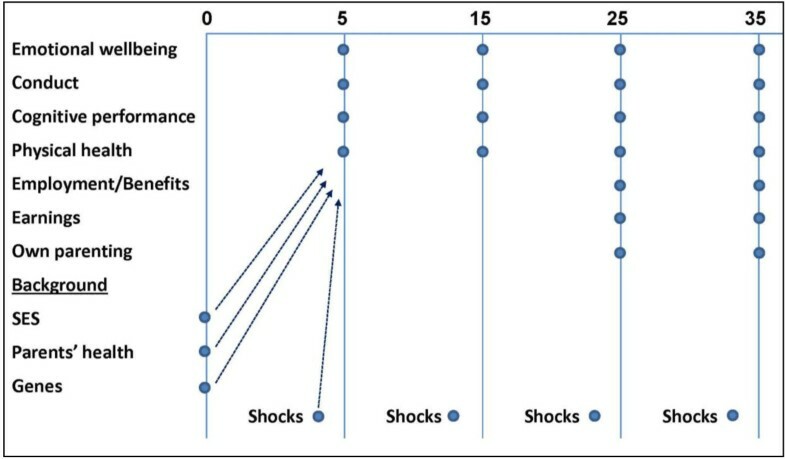 For this model to be of use for analysing policy interventions, it must be fully causal – the estimated equations must tell you how any variablet would change if an earlier shock were introduced into the model. But there is always the danger that the observed relationships in the model are not truly causal but reflect the common influence of some unobserved variable which persists over time. The most obvious omitted variable is the genes, which are omitted in most of modern social science. We have to get these in, and that is why we plan that some of our work will use data on twins or adoptees to enable us to control properly for the genes. Ultimately the aim is to lead to better policy through a more sensible kind of cost-effectiveness analysis than is currently used. If you think about the welfare state, most of the benefits cannot be measured in units of ‘willingness to pay’. Think for example of health, social care, law and order, the environment, and of course the relief of poverty. The benefits can only meaningfully be measured in units of emotional wellbeing or life satisfaction. To measure them we should use the model in conjunction with experimental data, to estimate how life satisfaction changes in response to policy interventions. The model also gives us a better fix on the net costs of an intervention (after the gross costs have been adjusted for all the savings or extra costs incurred as a result). We have already seen an example of that for CBT. So in 25 years’ time there’s a real chance that we will have much better methods of cost-effectiveness analysis – and governments which focus much more on what really matters for our people. But in the end what happens will depend ultimately on individuals – what they do themselves and what they get their governments to do. That is why a year ago a social movement was launched called Action for Happiness whose members pledge to try to create the most happiness they can in the world around them and the least misery29. That is how we should lead our own lives. But we should also expect our policy-makers to adopt policies which have the same effect. Foremost among them is much more attention to mental health. This objective is unlikely to be achieved unless each country has a separate cabinet minister for “mental health and social care”. This could include mental health promotion and treatment from the cradle to the grave. Within the healthcare system it would establish parity of treatment for mental illness and physical illness. It would also cover non-therapeutic services of care for children and old people. And it would pressurise other ministries, like the ministry of education, to make wellbeing a major objective of policy. For social services the lesson is clear. One of its central purposes should be to uncover the determinants of human wellbeing. Likewise mental health should routinely be considered as an influence on any other important outcome, be it earnings, crime, or family stability. And every survey should include questions about mental health. If we want to improve the wellbeing of our society, we need a change of tack. Economic growth is not the magic bullet and happiness depends more on the quality of our relationships and our own inner peace. Mental health is vital for both of these. Improving it could be the most important single step forwards in the 21st Century. 3Davidson et al. (2000). Layard (2010). 4Source: British Cohort Study. Malaise score is based on the following 24 questions (1 = yes) divided by 24: Often have backache; Feel tired most of the time; Often feel miserable or depressed; Often have bad headaches; Often gets worried about things; Usually have great difficulty in falling/staying asleep; Usually wake unnecessarily early in the morning; Wear yourself out worrying about your health; Often gets into a violent rage; People often annoy and irritate you; At times had twitching of the face, head or shoulders; Often suddenly become scared for no good reason; Scared to be alone when there are no friends near you; Easily upset or irritated; Frightened of going out alone or meeting people; Constantly keyed up and jittery; Suffer from indigestion; Suffer from an upset stomach; Poor appetite; Every little thing gets on your nerves and wears you out; Heart often races like mad; Often have bad pains in your eyes; Troubled with rheumatism or fibrositis; Ever had a nervous breakdown. 9For interesting discussions of the appropriate weights for different disorders, see Böckerman et al. (2010), Moussavi et al. (2007) and Dolan et al. (2012). These alternatives are difficult to compare with the weights used in compiling DALYs. 11Singleton et al. (2001). Table 4.2. 12Naylor et al. (2012). Since 1/3 of LTC patients have mental illness and treating LTC costs roughly 5% of GDP, the cost of their mental illness is 0.8% of GDP. (1/2 x1/3 x 5%). 13See Roth and Fonagy (2005). 14This is consistent with the recovery rates and cross-sectional evidence quoted earlier. For the US data see Wells et al. (2000) and Rollman et al. (2005). For patients in Wave 1 of IAPT (see below) 47.5% of the patients were in employment (and not receiving sick pay) when they begin treatment. Immediately after treatment ended the proportion was 49.5%, but more will have returned to work in the following weeks and months. Analysis by Alex Gyani. The change in numbers on sick pay and benefits equaled the change in numbers employed (without sick pay). On other outcomes of IAPT, see Gyani et al. (2011). 15Chiles et al. (1999). In addition here are some examples of potential savings to the NHS from CBT for people with physical symptoms. For chronic physical illness. A CBT clinic in Hillingdon for patients with Chronic Obstructive Pulmonary Disease saved expenditure on that condition (on A&E and hospital admissions) equal to four times the cost of treatment (Howard et al. (2010)). Similar results have been found with angina (Moore et al. (2007)). These were before-and-after studies. For rheumatoid arthritis we have evidence from a randomised control trial where CBT again paid for itself (saving on average £1,700 for an expenditure of £1,000) (Sharpe et al. (2001)). For medically unexplained symptoms, which cost the NHS billions in fruitless referrals, we have no specific cost estimates. But a meta-analysis of 13 US trials showed that CBT reduced these illnesses in all but two trials – and lowered the associated costs (Kroenke (2007)). 17Survey by the Royal College of General Practitioners carried out in 2010. 18LSE CEP Mental Health Policy Group (2006). In 2012 the group produced a second report on How Mental Illness Loses Out in the NHS. 20For evidence that CBT is more effective than pure social support, see the following. For long-term unemployed in Britain, group CBT compared with social support led 4 months later to employment rates of 49% for CBT and 28% for social support (Proudfoot et al. (1999)). An Australian study of benefit claimants compared 8 hours of group CBT plus 8 hours of job search assistance to 16 hours of job search assistance only. After 4 weeks the employment rate was 53% for the CBT-plus group and 20% for the job search group (Della-Posta and Drummond (2006)). 22These costs omit reduced earnings, mental illness and the costs of narcotic drugs, smoking and suicide. Friedli and Parsonage (2007) estimate these in present value terms at £225,000. 23Humphrey et al. (2010). For a whole range of ineffective interventions, see Wilson (2011). 24 Payton et al. (2008). 25Challen et al. (2011). There was however a small but enduring effect on school achievement. 26Kellam et al. (2008) and Ialongo et al. (1999). 29actionforhappiness.org. It now has over 28,000 members from over 130 countries. The IZA Journal of Labor Policy is committed to the IZA Guiding Principles of Research Integrity. The author declares that he has observed these principles. This paper is based on a lecture delivered at IZA, Bonn, May, 2012. Responsible Editor: Juan Francisco Jimeno.